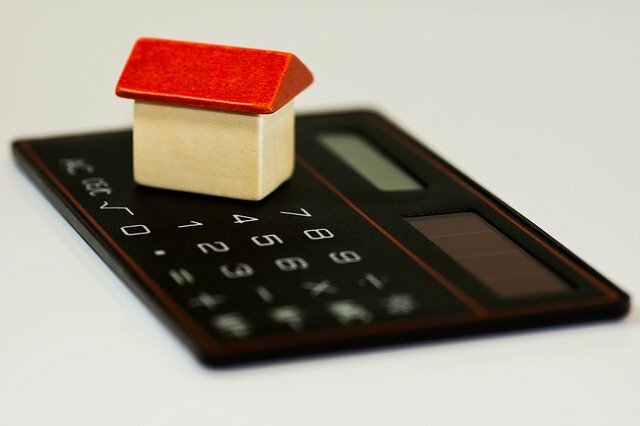 Of all the complexities facing homeowners, knowing how to get out from under a mortgage legally without ruining credit may seem like one of the most trickiest dilemmas imaginable. Is it possible? Few homeowners want to consider the idea of facing debt as a result of a mortgage loan. But circumstances change; whether it’s a result of losing a job, unforeseen medical bills or any other crisis many Americans face daily, you need to be prepared for very real consequences as a result of leaving your mortgage. A mortgage is, of course, a legally binding contract. Failing to pay it off can result in seizure and foreclosure as well as ruining your credit. The easiest option would be to sell your home short and pay off the difference, simply counting your losses. But what if you can’t afford to? A strategic default typically occurs when property is worth substantially less than the value of a mortgage. This negative equity is frequently referred to as having an “upside down mortgage.” Many homeowners simply choose to stop paying off their mortgage altogether. But did you know that you can do so legally? By negotiating with a lender, you can come to a flexible arrangement in terms of foreclosure. This will usually include additional time to vacate your property (some may actually pay your maintenance fees for upkeep) as well as coming to a mutual agreement on circumstances of negative equity which can alleviate some of the resulting strain on your credit. Many lenders, however, insist on a deed in lieu of foreclosure. A deed in lieu of foreclosure involves deeding property to a lender with an agreement of forgiving either the entire mortgage loan, or at least a substantial portion of it. One reason why this is more mutually beneficial is that lenders can typically recoup their unpaid mortgage by selling the property, and upside down homeowners are no longer legally bound by a contract. You may have come across references to companies that buy houses for cash in Utah, both online and otherwise. And you may have even assumed they were a scam. But they’re not. There’s numerous house buying companies & services out there which are legitimate, reputable and more importantly, willing to help you legally leave a mortgage contract without a short sale or potentially damaging or defaulting on your credit. A home buying company is exactly what it sounds like; a licensed company (as opposed to a homebuyer) which purchases homes from both distressed or simply eager sellers. They’ve become prevalent in recent years for various reasons; both to assist homeowners with mortgage obligations, but also with the intent of renovation and resale. And while you may receive less than the initial value of your home as a result, you don’t have to pay out of pocket or negotiate with a buye, agency or lender. Most importantly, you avoid any negative credit impact as a result of foreclosure. The main benefit to using a home buying company isn’t just avoiding ruining your credit or defaulting on your mortgage, however. Because home buying companies typically pay full cash value for a home—and frequently at a profit for sellers—it’s an instant solution to mortgage lender obligations. The process of foreclosure can take weeks—if not months—to negotiate with a lender. And while that might seem like a minor inconvenience compared to going into debt, the impact it has on your credit rating can take years to resolve. The turnaround time in selling your Utah house for cash to a home buying company is typically a week; often sooner, since many legitimate home buying companies now offer online applications. This is probably the easiest and most convenient solution for homeowners who need to resolve their mortgage contracts or liquify assets quickly and legally; allowing them to start all over again with no negative impact. We all know the threat of debt, foreclosure and bankruptcy can be scary. But there are options to avoid it; quickly, realistically and conveniently. You don’t have to give up control of your finances—or your dreams, for that matter. You just simply need to know where to look.